For serious yard sale shoppers, spring means the beginning of garage sale season and early morning treasure hunts. They go well prepared and they know how to find the good stuff. 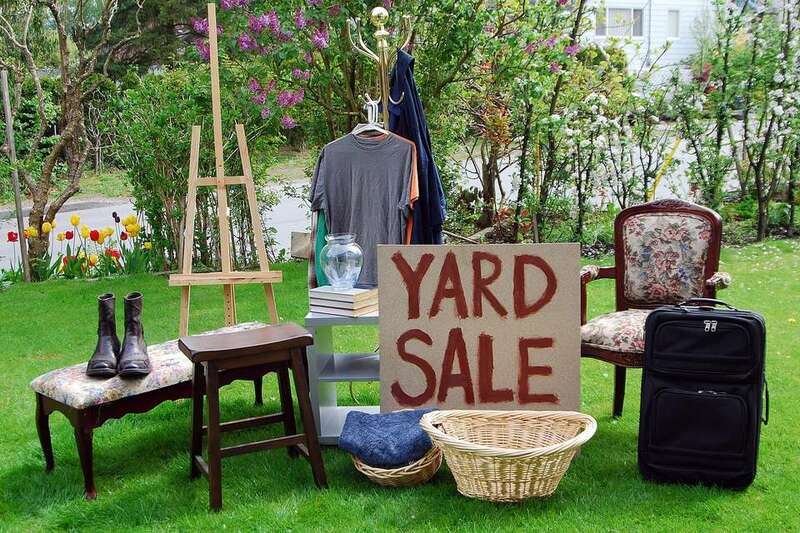 If you're new to yard sales—or if you want to improve your game—study the do's and don'ts of yard sale shopping before attending your next sale. Do plan your yard sale route in advance, either in the morning before you shop or the night before. Mark the sales you want to shop on a map—manually or with mapping software—which saves both time and gas. Do try to get to the best-sounding yard sales as close to their starting times as possible. The good stuff sells fast. That's not possible with every sale if you're shopping an entire route, but do your best to get in and out fast. When you're mapping your yard sale route, order them according to starting time as well as geographic location. Do prioritize group sales—such as neighborhood, church, multi-family, and highway yard sales—because you'll find more available merchandise in one location. Do attend yard sales in neighborhoods most likely to have the merchandise you're seeking. If you're looking for baby clothes and kid's toys, shop newer suburbs full of young families. If you're looking for antique and vintage goods, attend yard sales in older neighborhoods, especially those with lots of original residents. Don't rely solely on a smartphone or online yard sale finder. Use the apps as a starting point, or to map your final route, but read the yard sale ads from both Craigslist and the local newspaper yourself. Many yard sale finder applications aggregate from just one or the either. Additionally, if an ad lists an address that isn't formatted properly, the app may not be able to understand it. The app won't understand what "two miles from the bridge and across from the old stone church" means, but you may. Do watch for yard sale signs, and feel free to detour if you spot one that's not on your route. Do shop with a pocket full of cash, including lots of one dollar bills. Most yard sale sellers don't take checks, and you don't want to pull out a twenty if you've just told the seller you can only spend ten. Do pack your treasure hunting tool kit, which should include your room measurements, paint and fabric swatches, and a measuring tape. If you're shopping for clothes, take a list of sizes of the members of your immediate family. You should also take a large mesh bag or a cart on wheels if you tend to buy lots of small items. You'll really appreciate the wheeled cart if you're walking a neighborhood sale. Do practice basic yard sale safety. Keep your cell phone with you and make sure it's charged, especially if you're shopping yard sales alone. You may lock your keys in the car or have engine trouble—in addition to shopping among strangers. Do say hello to the seller when you arrive. It only takes a second or two, and the seller may recall your courtesy when it's time to haggle. Do feel free to make an offer or ask for a lower price. Haggling is part of the yard sale experience, as long as you don't do it the rude way. Don't offend the seller by asking for a 90 percent discount, but it's fine to offer a little more than half of the tag price. If the seller makes a counteroffer, you'll likely end up somewhere in the middle. Do offer a group price if you're buying multiple items from the same yard sale. Sellers are more inclined to agree when they can clear out lots of things in one transaction. Do swing back by the sale at the day's end if you couldn't come to an agreement on price. Sellers are hot and tired when it's time to close the sale, and most would rather take less than drag big items back into the house. Don't expect to get huge discounts in the first hour or two of the sale. Most sellers will wait to see if the pieces sell for the full prices before giving discounts. Don't insult the merchandise while you're asking for a discount, and don't tell the seller the sale up the street has the same item for far less. The seller may tell you to go buy it at the other sale. Don't take young children or pets to yard sales. You can't shop and watch them properly, especially when you're trying to get in and out fast. Don't take your hands off of an item you're planning to buy. It won't matter that you saw it first if someone else snags it and pays. Don't buy items you can't use just because the prices are low. If you don't have room for it or can't think of a way to repurpose it, you're wasting money, not saving. Don't linger for a chat after you finish shopping a yard sale. The goal is to get in and out fast so you can get to the next sale before all of the good stuff is gone. Don't light up a cigarette on someone else's property, even when the yard sale is outdoors. Non-smoking sellers who don't like smoking on their property may worry you'll toss your butts on the ground. Even if you don't, they may hold smoking against you when you want to haggle. Do carry some packing materials—newspaper or tissue paper, grocery sacks, bubble wrap, etc.—in your vehicle. Most sellers won't think to provide them, and you want to get your new goods home intact.